Vinnie Kelly, her son’s biological father, just out of jail, sets out to destroy Oona and all she holds dear. Haunted by her past, she has to fight for her future and the safety of her son, Sean. But Vinnie has revenge on his mind . . .
Leicester Writers’ Club, Just Write workshop, Life President of Lutterworth Writers’ Group, Member NAWG, Member Romantic Novelist Association and past president of Riverside Speakers club. In recent times, Cathy has turned to writing full-length novels that are set in Ireland/England. 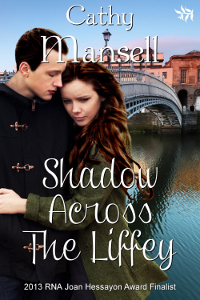 Her debut book, Shadow Across the Liffey, a 2013 contender for the Romantic Novelists’ Association’s Joan Hessayon award was published in February 2013 by Tirgearr Publishing. Her Father’s Daughter, Cathy’s second book, has been contracted by the same publisher. She was a recent contestant on the TV show Food Glorious Food. 1. Tell us about your writing process. Do you outline, or are you more of a seat of your pants type of writer? It’s usually as I come to the end of my current novel that an idea will come into my head for another story. For days, weeks even, I’m writing the story in my head before putting it down on paper. And yes, most definitely, I write an outline of the story. It’s like a map for me and I can follow it along. It gives me a structure to work to. I really do admire authors who write a whole novel without planning. I know several who do, and do so very successfully. but I’m not that clever, I need to know where I’m going and how my story will end before I start writing. 2. What is your favourite scene in the book? Why? I have several scenes in Shadow Across the Liffey that I love and really enjoyed writing. But my favourite scene is when, Oona’s son Sean, is kidnapped, and then abandoned in Manchester and has to sleep rough. It’s such a poignant scene it makes me cry every time I read it. 3. What is the best piece of advice you would give to someone that wants to get into writing? The best advice for anyone who really want to write is, to do it. Listen to your heart as well as other authors who know their craft. Write about what you know. Don’t give up in spite of the hurtles you will encounter. Keep going and finish what you’ve started, and above all believe in yourself or no one else will. 4. What do you do with your free time? Where is your favourite place to unwind? When I’m not writing, I’m thinking about it. But I love to spend time with my grandchildren, especially the little ones. We go to the nearby farm at the weekend and feed the animals. They grow so quickly, so it’s nice to see them as often as I can. My favourite place to relax is my big arm chair usually towards the late evening. I read a lot, and can’t sit idle, must have something to read at the same time as watching TV. 5. What are three fun things about you? Three fun facts about me. Well I love music, and play the melodeon and the mouth organ. This stems from my childhood when we had lots of family parties. I love going on the swings in the children’s playground and even coming down the slides. although, I try to keep that one quiet. Really, I’m a big kid at heart, especially when I’m with my grandchildren. My third novel, my first historical suspense, Galway Girl, comes out in May of this year. It’s the story about a gypsy girl who overhears her parents making plans to marry her off to a rich landowner. Desperate to escape, she stows away onboard a ship with dire consequences. 7. What makes you inspired to write? I’m not sure. But, only the idea gets stuck in my head, I have to write it. Sometimes I’m not sure if it will stretch to a novel because it only starts with an idea. Then once I start, I’m amazed at how it grows and grows and with good characters they write the story themselves. Hi Elizabeth, thank you for hosting me on your blog today. I’m delighted to be here. . I hope some of your readers will enjoy my post and maybe leave a comment. You are so welcome! Good luck with your book! Really enjoyed reading your answers to the questions Cathy. What great advice for aspiring authors. You are proof that perseverence pays off! 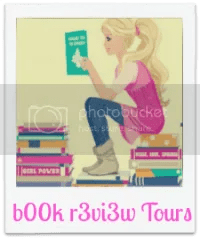 I hope all the readers of this blog enjoy discovering your books.